Development has changed a lot in the last 20 years thanks to agile and scrum methodologies. However, many adopters of these methodologies neglect the need for proper testing due to time and resource constraints. 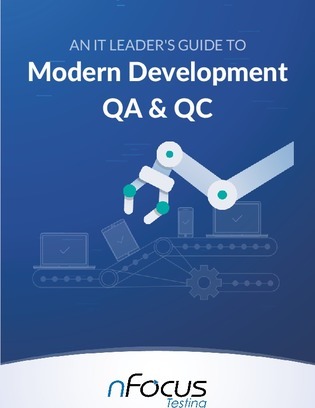 To better understand the importance and role of quality assurance (QA), testing, and quality control (QC) in the development process, download the PDF of this developer’s guide. Inside you’ll find out how to help your organization improve your quality assurance approach and practices.